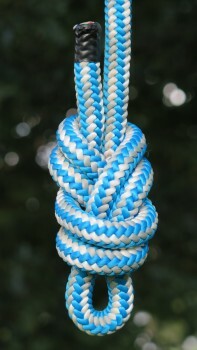 The Figure Eight on a Bight is a relatively easy and quick way to put a loop in the end of a rope. If using this as life support then make sure that it has a double fishermans knot tied with the tail around the standing end. Be aware that this knot can be hard to undo once it has been loaded.